Only if different from phone number above. 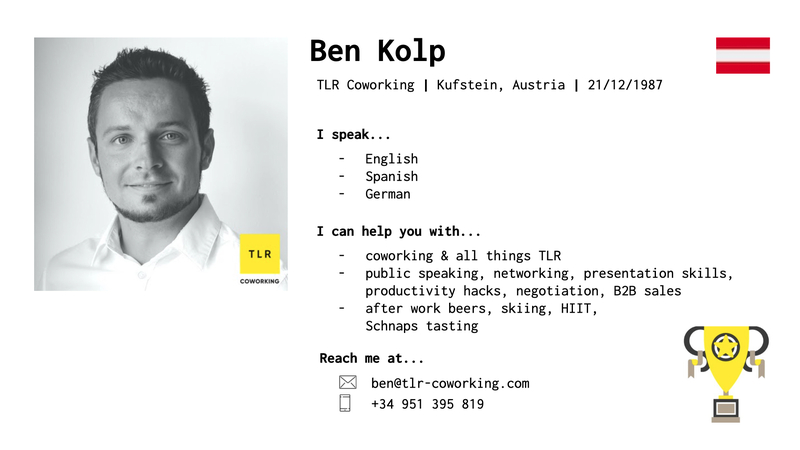 To foster collaboration amongst our coworking family we create a profile for everybody, like the example below. Help us create your profile and you'll get access to everybody else’s profile. Fair deal? Ideally in tag style, avoid writing sentences. For now add only one per field, you can add more later. .jpg or .png max 2M. Finally, let’s talk about money. What details would you like us to put onto your invoices? Any legal entity you want us to invoice. If you leave it blank we use your name.